We are pleased to announce that our CIO Ralf van Vegten will present an inspiring Augmented Reality Case Study at SVG’s SportTech 2017, taking place at Arsenal FC’s Emirates Stadium on Wednesday June 7. Delegates of SportTech should anticipate a characteristic blend of sessions featuring emerging technologies (HDR, VR, IP), as well as bespoke previews of some of the summer’s major sports events and the production workflows that will support them. NEP is a front-runner in photorealistic Augmented Reality (AR). Its in-house developed AR platform CUBE, easily integrated in production workflows as a managed service, is already in use for daily live sports programmes, large entertainment shows and location sports productions including carpeting and virtual advertising. This unique SVG session will focus on the advantages of next generation AR from financial, production and creative perspectives. 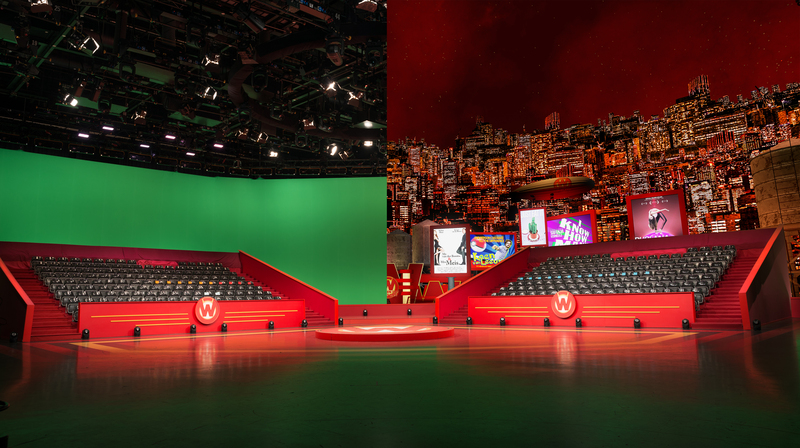 Filled with recent footage from live and recorded productions, Van Vegten will highlight the difference between traditional and state of the art use of AR. Read more about CUBE and Augmented Reality! To complement NEP’s cloud based multi-studio centre and its Tier 1 live sports streaming and playout services, clients have asked NEP to put graphics and AR at the heart of new programme format development adding integrated AR-ready production and post production workflows. NEP’s Graphics department is amongst the most innovative live graphics providers in the sports and entertainment industry and specialises in data visualisation, virtual and augmented reality in (live) entertainment, sports and news shows and high end signage. Getting curious? Please call +31 (0)6 22952772 or send an email to marleen.lassche@nepworldwide.nl to schedule a cup of coffee. As CIO, Ralf is responsible for NEP The Netherlands’ IT centric broadcast and media technology both on-site in Hilversum and at client’s locations where NEP provides a wide range of managed services. The Technology Department services the entire operation at the NEP facilities and several client locations. The technology provided range from studio technique and post production platforms to the distribution systems that are used to deliver signals to broadcasters and the development and maintenance of complete VOD platforms.